Let Kapolei Public Library help you with your reading needs for The Great American Read being held system-wide across all HSPLS locations. Browse our display on the 2nd-floor mezzanine or ask our helpful reference staff for assistance. 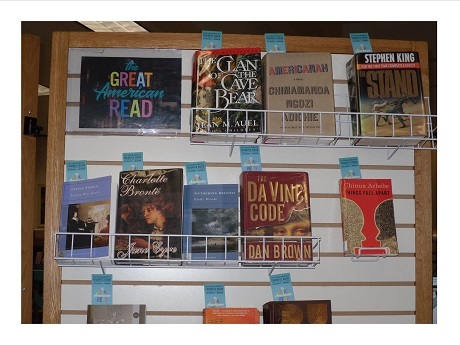 The list of titles for The Great American Read is available on site at the book display and the 2nd-floor reference desks. Designed to spark a national conversation about reading, literacy and the books that have inspired, moved and shaped us, The Great American Read is an eight part PBS series and nationwide competition that explores the joy of books and the power of reading through the lens of America’s 100 best-loved books, as voted on by the public. Going on now through October 23, 2018.